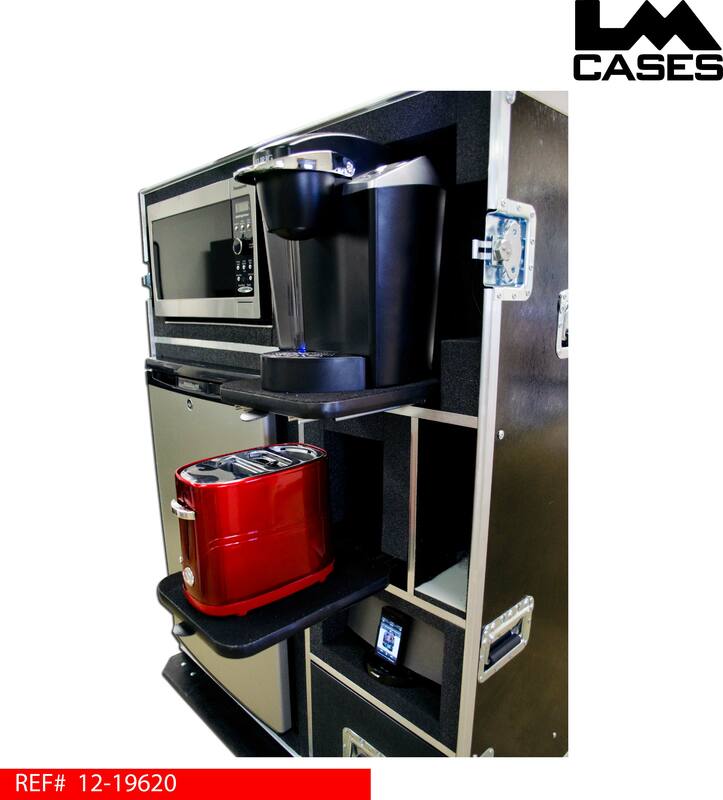 The 2012 Signature Amenities Case is designed to be the ultimate mobile mini kitchen unit. 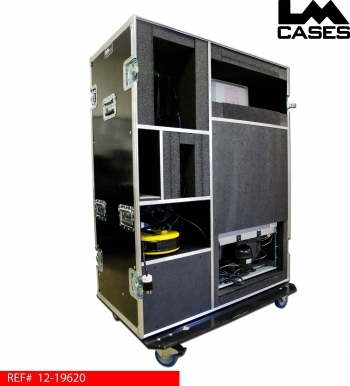 The case features a 4.4 cu. ft refrigerator, a .9 cu. 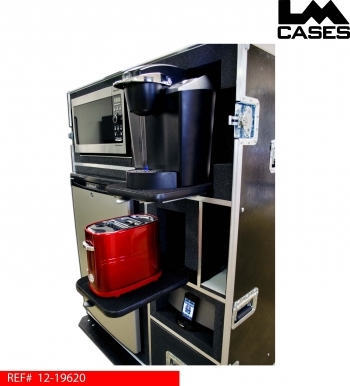 ft microwave, Keurig, Bose Sound Dock and a hot dog maker. The Signature case is built out of our 3/8" proprietary composite panels laminated with black fiberglass panels. 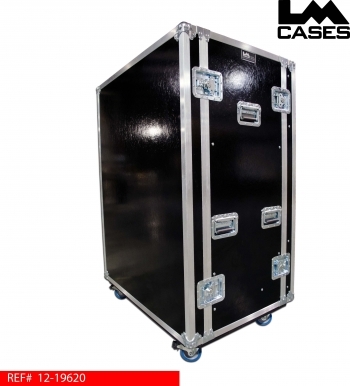 The case features 6 deep recessed handles, 4" Colson casters and table legs in the rear lid. 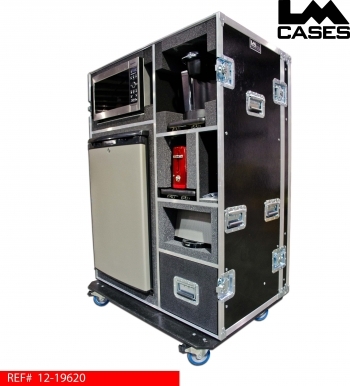 The case comes standard with all appliances loaded and a 30ft retractable extension reel.